The LEF (Local Engagement Forum) is on tonight at the Alexander Centre (the Council offices) in Preston Street, Faversham at 7pm. Anyone can speak at these meetings so please come and have your say. The E-Petition is on the agenda. The Council’s response to it can be seen here: http://www2.swale.gov.uk/dso/viewagenda.asp?uid=1212 . I will raising a few questions about Council policy about Standard Quay (I will try to put these in a newsletter later today) and will be pointing out that, much as we think a Compulsory Purchase Order would sort the problem once and for all, we got the message they don’t want to do that some time ago, and that the E-Petition is about far more than this. Elections are coming up, so we are expecting that more than the normal three or four Councillors will be in attendance and probably a few more Swale Planners than normal too, so its a good opportunity to get a few messages across. E Petition – You can still sign! TO ADD YOUR NAME TO THE PETITION, PLEASE CLICK THE LINK TO THE RIGHT AT THE TOP OF THE PAGE. As of 4.30pm on 3rd March 2011, the e-petition will no longer be hosted on the Swale Borough Council system but will be here on the Standard Quay website. The speed with which the numbers of signatures rose during its mere four weeks on the SBC website has not gone unnoticed – it has made a real impact. However, under the rules of these government run e-petitions, there would be no further value to be gained leaving it open there. For more explanation of this, please follow the link in an earlier posting to the e-petitions scheme at Swale. 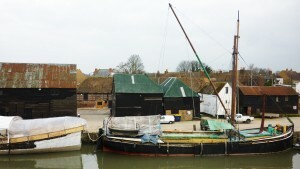 However, we believe there are more people who want to show their support and we would like to continue the petition to so that our Councillors have a proper look at how Faversham Creek can realistically be used for the benefit of the Town using the practical skills already here and without unwanted ‘enabling development’. Thank you for all your support so far. If you have not received our latest newsletter, please click on the link opposite. Because of the rules of these things, we will have to close the petition by or on 3rd March. A petition cannot, apparently, be discussed until it is closed. We have also been told that it will only ever be treated as a “local issue” and thus, no matter how many signatures it gets, will never qualify to go on the agenda at Swale. The best way to move this forward, we are told, is to have it raised at the next Local Engagement Forum on 15th March at the Alexander Centre. However, if we don’t close it, although this is an open, public meeting, it could be excluded as a topic for discussion. Clearly, someone would have to stand up and actually say it couldn’t be discussed, but I am not sure if that would be a Councillor, or if a poor old Council employee would have the task dumped on them… But I don’t think we can take that risk. This is all new stuff, the epetition is the first one Swale have run. For all I know it may be the first Government e petition in the country. The rules are not clear. But what I do know is, the more names we have, the more notice our elected representatives have to take, no matter what. So, if you know of anyone who hasn’t yet signed, but would like to, please ask them to hurry and sign before Thursday this week. Thank you for all your tremendous support. The epetition is doing well. Over 1000 names now and I hear rumbles and rumours that we are making waves and stirring up action. If we can have one more big push to get the names on the petition over 1500 we can get Standard Quay onto the agenda for a proper discussion. We can let Swale know that Standard Quay as it has developed over the past 18 years HAS been regenerating. It HAS created jobs and skilled training opportunities; it HAS attracted visitors to come and to return again and again; it HAS helped the Town of Favesham to once again become known for its ship-building skills that have not died out here, but now have the chance to flourish again. PLEASE write to the local press to let them know how you feel about the Creek in general and the Quay in particular. That water-based activity needs strong protection and that weakening the wording in the Local Plan, especially changing the flooding designation, encourages developers. Encourage any interested friends to sign the e petition. Lets have a proper debate about this at Swale. Don’t let compromise kill the Creek. Close to 1000 people have signed the Save Standard Quay e-petition in under two weeks. This is sending a very strong message to our Councillors, especially with elections coming up soon. If we get to 1500, the issue can become a Debate at Swale. We will get more information about this process up soon. In the meantime, if you know anyone interested in the future of the Quay, who may not yet have signed, please give them a nudge. Let’s see if we can reach 1500! I have been assured, by the way, that there should be no problem signing from overseas, so please do sign up and show how well known the Creek is around the world. Not least as its name as a Port has been carried around the world for many years by the lovely Eye of the Wind. 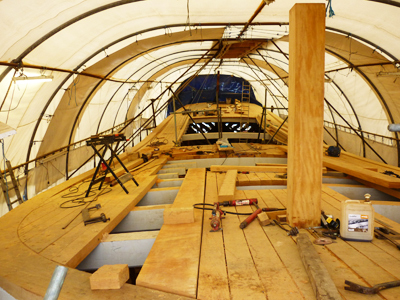 An article will be appearing in Classic Boat, out today, in Yard News. Thanks to Peter Willis for his continuing interest in the Quay. 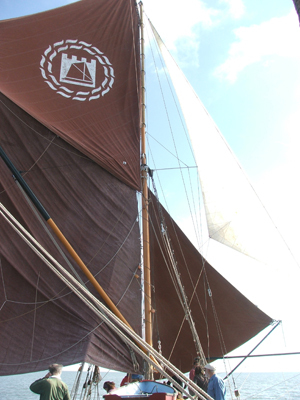 The article written on the weekend of the Swale Barge Match last August is now out in the March issue of Coast. Lovely picture of the Colin Frake and others working on the Quay. We now have a link to the e petition at the top right hand corner of this page if you wish to sign it. When you click the link the text of the petition is there to read before you sign. Please make sure you open the confirmation email you get from Swale after signing as your name won’t be added until you do this. I have heard that the site is not accepting signatures from abroad so we are working on alternative ways for our overseas supporters to register interest, but in the first instance, please subscribe to this blog for regular updates, and also, if you wish, to the e newsletter (click on the button on the right of this screen or the link in an earlier post below) to make sure you keep up to date with the campaign.